Schedule Jim Rue Golf Instruction for your lessons to receive coaching from a PGA Tour Certified Instructor with over 30 years of teaching experience and 15 years competing on the Venezuelan PGA Tour consistently achieving top 10 money winner results. Jim Rue Golf Instruction offers lessons to every skill level, teaching everything from the fundamentals of golf to how to hit complex shots from a variety of locations & angles on a golf course. **If it’s your first lesson with Jim Rue Golf Instruction, please schedule a hour long session as more time will be needed to evaluate your skill set to create a game plan for future lessons! Learn why all the pros trust TrackMan to analyze their “swing DNA” and how knowing your data can help make granular swing changes over time to increase distances and performance on the course. Smash Factor –ball speed divided by club speed. Spin Rate –the amount of spin on the golf ball immediately after impact. Launch Angle –the angle the ball takes off at relative to the ground. Carry –the distance the ball travels through the air. Ball Speed – the speed of the golf ball immediately after impact. Club Speed –determines a golfer’s potential distance. Dynamic Loft –the amount of loft on the club face at impact. Attack Angle –the direction the club head is moving (up or down) at impact. Club Path –the direction the club head is moving (right or left) at impact. Face Angle –the direction the club face is pointed (right or left) at impact. Jim Rue Golf Instruction hosts group golf camps, leagues, and lessons for youth & adult golfers. Click the schedule button below to reserve your place! Limited availability. City of Dayton Community Golf Club. 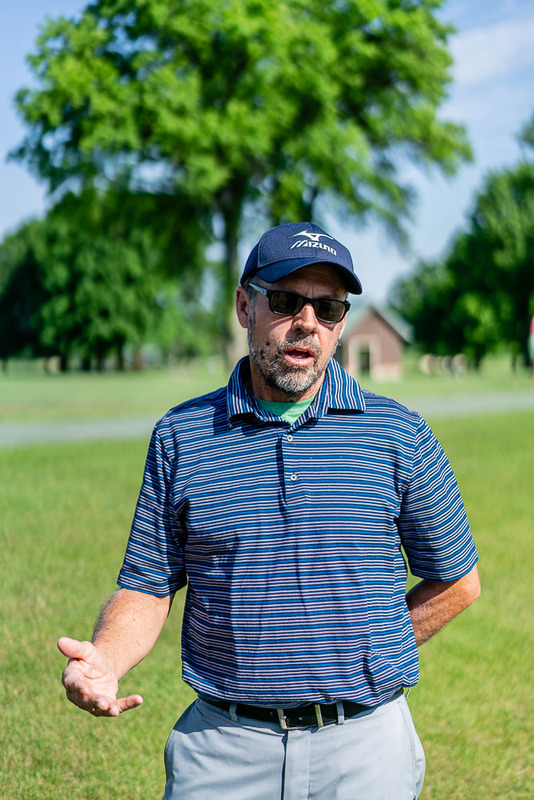 Schedule PGA Certified Golf Instructor Jim Rue at Community Golf Club in Dayton, Ohio for adult & youth private lessons, complete & single club fittings, and TrackMan Rental! Courses: two distinctly different 18 hole courses (Dale & Hill). Click to view each Course Layout! Driving Range & Practice Facilities: large natural grass tee driving range including a practice chipping green & practice bunker. Pro Shop: offers an assortment of clubs, accessories, clothing and shoes to complete your look or complete the equipment in your bag! 19th Hole Bar & Grill: features full-service dining with a large menu, on course beverage services and call ahead ordering capabilities so your food is ready when your round is complete! A great place to relax, unwind or celebrate with with friends and family. Clubhouse & Locker Rooms: enjoy large, modern locker rooms complete with shower facilities and a lounge area. The men’s & women’s locker rooms each feature over 50 lockers with space large enough to fit your golf bag and gear! Copyright 2018 Jim Rue Golf Instruction.